Think the Bible is Perfect and Error Free? Yes and No. I recently came across a few discussions about the bible and how some people view it as absolute perfect and error free, and some know the book the be full of errors, or as they call them contradictions. It is a highly sensitive issue seeing as religious people / Christians view the bible as more than just as book, they view it as a complete inspired piece of art that can almost be seen as the living breathing God speaking. Hence there can be no error with it whatsoever. These people are so radical in their almost blind belief that they are willing to lose friendships, argue, and even go to war to defend the perfect bible they believe in. Then there are the other side of the equation. They are the people that see the bible as a book consisting of a compilation of smaller books, bound together telling a story over a period of 6000+- years of human history. Because these people don’t necessarily believe in what the bible says, they easily identify errors in the bible and use these errors to remove any credibility the bible may have. The thinking of these people typically go something like this: Verse 1 in book 25 says “God cannot be seen” and verse 123 in book 49 says “Whoever has seen Jesus has seen God”. This to them is a clear contradiction because which is it? Have people seen God or not? Because plenty of people saw Jesus. Hence they conclude that the bible cannot be accurate and it is all a sham/joke. What I have come to learn is that unfortunately the bible is neither. Both of these groups can be seen as extremists in a sense. Neither of them using clear and solid logic. Let me use an example, followed by a few questions and conclusions. Lets say you are to take it upon yourself to create one big book consisting of an accurate depiction of what happened in World War 2, and you compile this big book from lets 66’s independent depictions from other authors’ books. Some of these independent books overlap in what part of WW2 they depict, while others are unique in that there is no other author depicting the part of WW2 that they wrote about. What will you end up with? Can one assume that one author’s story will conflict with another authors stories facts? Can one expect one author will contract another author? I think it is very obvious that there will be inconsistencies in certain details, and there will be inconsistencies with certain story plots and story lines. The point of your complied big book of WW2 is not to be correct in every soldier count mentioned, every order given by Hitler or every Jew that died across all authors’ versions. No, the point if your big book of WW2 is to give an accurate description of what happened in WW2, and that is the story of how Germany under the rule of Hitler ended up raging war against the world, causing millions of soldiers to die, and causing the torture, death and persecution of millions of Jews (to name it briefly). An inconsistency with one author mentioning a battle in which 1000 German soldiers die conflicting with another authors depiction of how 2000 German soldiers die during the same battle does not change the outcome of the story. Such an inconsistency does not make what happened in WW2 any less true. And such it does not remove the credibility of your big book of WW2. That is because your big book of WW2 is not one book by one author, it is a compilation of books by authors who have probably never met or seen each other, and may have lived before, during or after the actual war. Inconsistencies are almost expected to a certain extend. See what I’m getting at? The bible is the same. Just because a verse in the new testament contradicts a verse in the old testament, or any verse in any testament contradicting a verse somewhere else does not necessarily remove the credibility of the entire bible in itself. If you see the bible for what it is, a collection of books telling an amazing story written by various authors over various decades and ages, telling a story of a God and His journey with a group of people, and how this God became man, and restored lost mankind to his previous righteousness and right standing with Him, then your eyes begin to open. 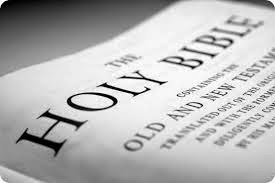 I am by no means arguing for or against the actual truth of what is written in the bible. All I am trying to point out that if one is to understand this book called the bible, you need to know what it is, how it was compiled, and how inconsistencies among it’s authors does not remove any credibility. Actually, inconsistencies and so called contradictions is a good case FOR the credibility of bible: If you really consider the amount of authors and various authors that had their writings chosen to be included in the bible, spanning over multiple ages, from different groups of people, telling different and the same stories coming eye witness accounts to accounts from witnesses who remember vaguely from memory.. then you would EXPECT inconsistencies. Imagine reading a book on WW2 from 66 different authors who never met each other, lived in different decades and speak different languages, and come from different countries and each persons version EXACTLY agree with the other authors. THEN I’d start to worry and think something dodgy is happening. For the Christian believing people reading this, relax. The fact that there are “contradictions” in the bible does not change what or who God is, what He’s done, and who Jesus is, and what He’s done. But, you need to understand that the bible is a book, and you need to ask yourself whether your relationship with God will resume if you remove your bible. Do you have a relationship with a living God, or a bunch of words written in a book. Yes, the book teaches us about God. But the book IS NOT God. You can have a perfectly healthy relationship with God without ever having to read your bible.